AR Auto Show - Upcoming Media Inc.
Apple: iOS 9.1 or later version. Android: 4.1 or later version. For decades people have been visiting dealerships and showrooms to shop for cars. With rapidly changing technology people have moved more towards using eCommerce and digital catalogs to speed up their daily routines. 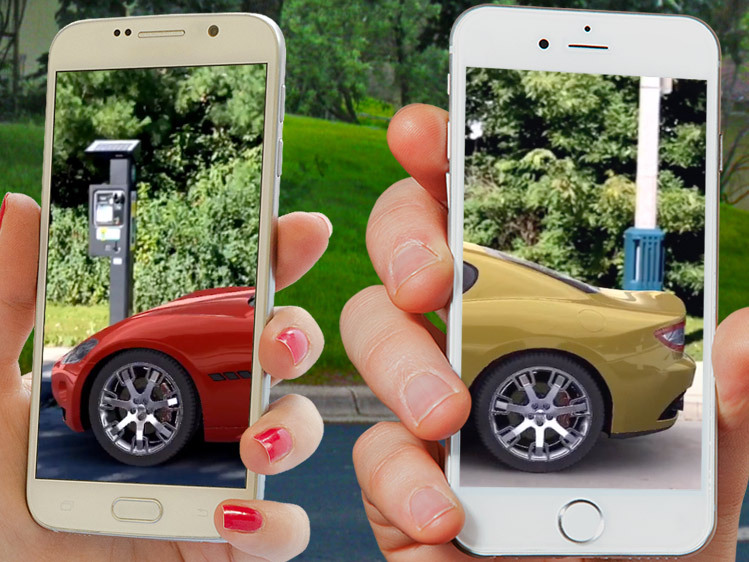 Companies can now use our Augmented Reality Automotive Showrooms to network their product catalogs in a new, modern, and interactive way. Work with our creative department to showcase your featured vehicles. Reach potential customers, local and online, by bringing your inventory to your client’s table top, or driveway.